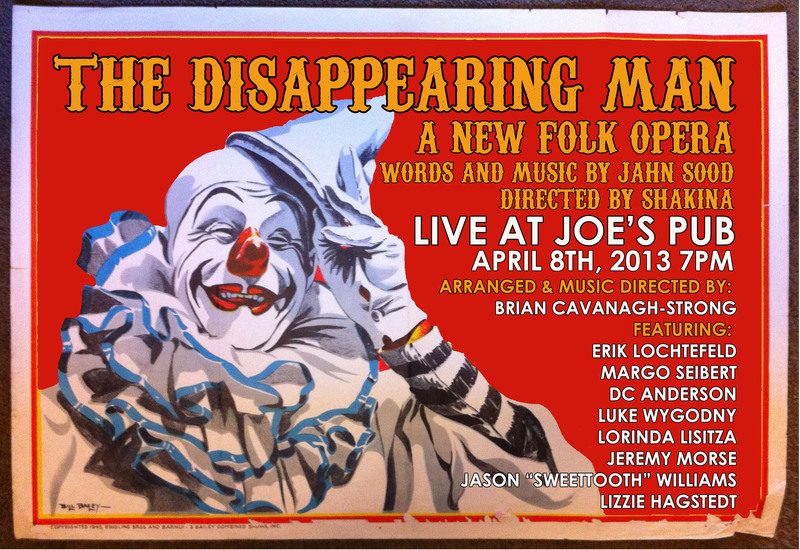 THE DISAPPEARING MAN is a new folk opera that takes place backstage at a small-time circus in 1936. A magician and his lovely assistant fight to break free of the roles they’ve always played and start anew. The Disappearing Man was most recently presented as part of the Ignite! Festival at the Repertory Theatre of St. Louis (April 5-6, 2017), directed by West Hyler (Cirque du Soleil’s Paramour, the Big Apple Circus). It has previously been presented at TheatreWorks Silicon Valley, Joe’s Pub and Cloud City, an alternative arts space in Brooklyn. Check out Cloud City Sessions, a record made with the 2014 Brooklyn cast below! Join the Facebook fan page here. PLAYWRIGHTS HORIZONS DOWNTOWN: MTF Residency 2017. Dir. West Hyler, Asst. 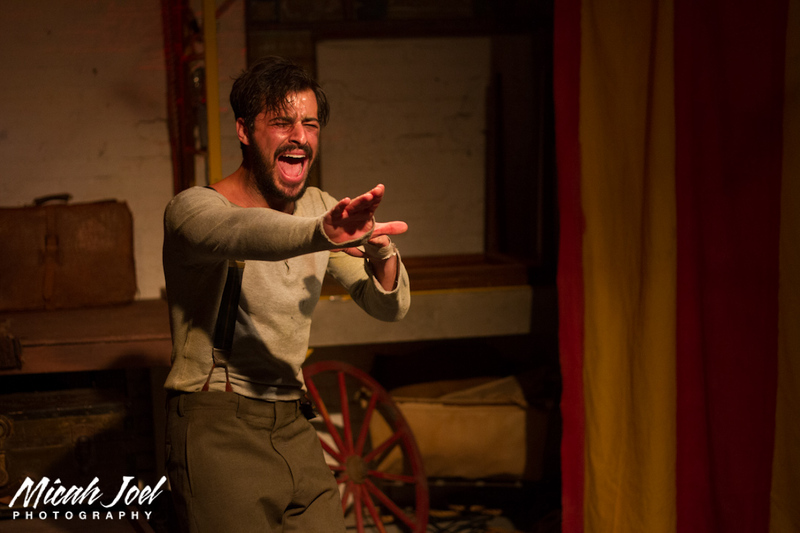 Dir Amanda Connors, MD Max Mamon, Music Supervised Brian Cavanagh Strong, Dramaturgy by Jeremy Stoller, Feat. Eric William Morris, Mary Kate Morrissey, Luke Wygodny, DC Anderson, Catherine Cox, Jorge Acosta, Jeremy Yaddaw, Lizzie Hagstedt, Eli Zoller. THEATERWORKS SILICON VALLEY: New Works Festival 2014. Dir. Shakina Nayfack, MD Brian Cavanagh Strong, Feat. Bryce Ryness, Mary Kate Morrissey, Andrew Lynch, Chris Vettel, Alison Ewing, Randy Nazarian, Jeremy Kahn. 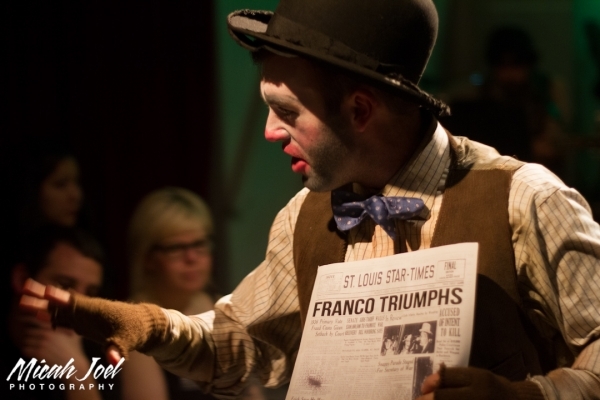 The autobiography of circus press agent Dexter Fellows was playwright and composer Jahn Sood’s inspiration for “The Disappearing Man.” The musical takes place during the 1930s Great Depression. 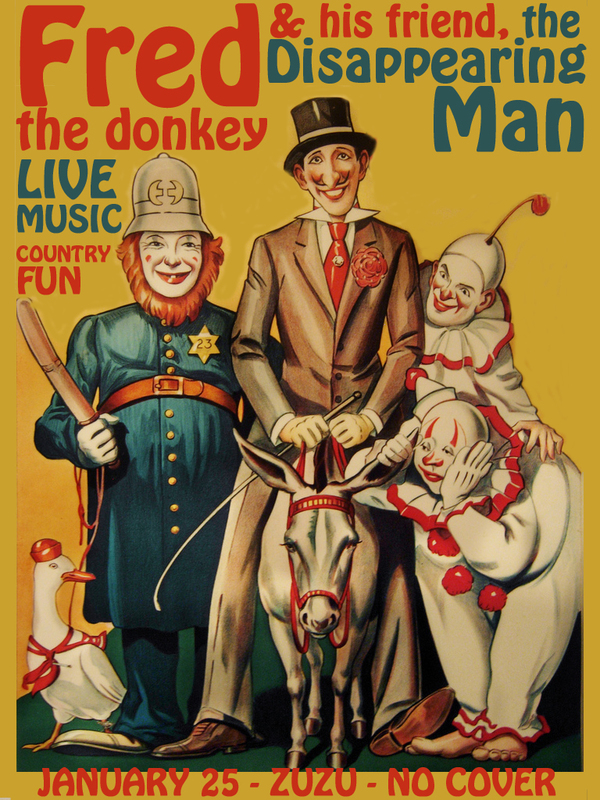 A group of circus performers face a crisis; their headlining act, a magician, might take a straight job. There’s a magician who doesn’t believe in magic anymore and a cast of clowns and assorted performers who face identity crises. They question the life they might have outside of the circus, he said. “The stakes are pretty high for people in many ways. The clowns say, ‘I don’t even know what I look like without my makeup on.’ Each has to embrace their role and escape from it,” he said. Fellows was the press agent for Buffalo Bill’s Wild West Show and Barnum and Bailey’s Circus. Sood found the autobiography in a bargain bin while on tour with a rock band, Ezra Furman and the Harpoons. The story of circus life and of trying to create an event and make it real resonated with him, he said. “I realized my life was a lot like these guys’, going from place to place to play a show and not knowing if you are going to make it to the next place alive,” he said. April 8, 2013 – JOE’S PUB – NEW YORK – Concert Version directed by Shakina Nayfack with orchestrations and vocal arrangements by Brian Cavanagh-Strong. The cast included Erik Lochtefeld, D.C. Anderson , Margo Seibert, Luke Wygodny, Lorinda Lisitza, Jeremy Morse, Jason “SweetTooth” Williams, Andrew Burns, and Lizzie Hagstedt. March 3, 2013 – SHETLER STUDIOS – NEW YORK – Developmental Reading directed by Shakina Nayfack with new orchestrations and vocal arrangements by Brian Cavanagh-Strong. The cast included David Lutken, D.C. Anderson, Margo Seibert, Luke Wygodny, Lorinda Lisitza, Jeremy Morse, Jason “SweetTooth” Williams, Jeremy Yaddaw, and Lizzie Hagstedt. 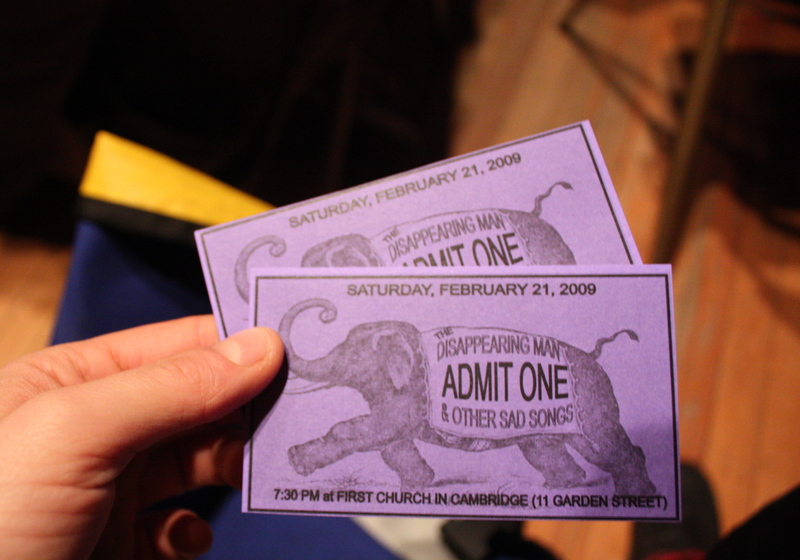 2010-2011 – CAMBRIDGE, MA – I did several concerts performing the songs from the show using The Disappearing Man as a moniker. August 2009 – FACTORY THEATER – BOSTON – Festival Excerpt Production with Lindsay Strachan, Curtis Caswell and Jahn Sood as part of the FeverFest09. February 2009 – BARROW ST. THEATER – NEW YORK – Reading at Process Group’s Required Reading Series with the Cambridge cast. February 21-22, 2009 – CAMBRIDGE, MA – Independent workshop production with director Brendan Shea. The cast included: Rebecca Whitehurst, Lindsay Strachan, Cameron Oro, Charles Settles Jr, Jacob Martin, Jacob Beaubien and Jahn Sood. 2006-2008 – THE AMERICAN HIGHWAY – I wrote the first draft of this piece while I was on tour with Ezra Furman & the Harpoons.